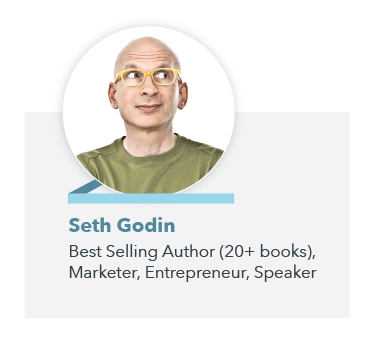 Seth Godin has long been a disrupter in the marketing space. Known for writing industry changing books like Purple Cow and Permission Marketing, Seth is quick to spot changes in consumer behavior and how companies should react with their marketing, sales, and overall experience. As a thought leader in his late 50’s, he’s accomplished many great feats in his career, such as selling his former company, Yoyodyne, to Yahoo for $30 Million. With this success and his desire to live outside the norms, he’s adamant about not being on social media, though his blog is shared daily by hundreds of thousands of people on his behalf. 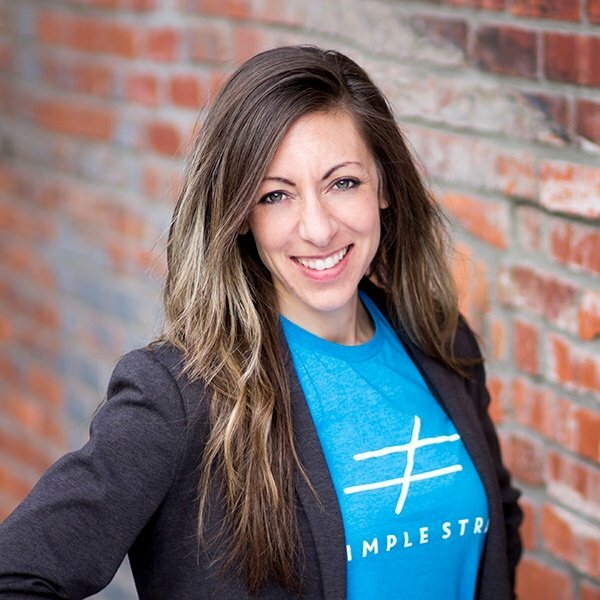 Ann is a beast when it comes to helping marketers understand how to create content and leverage it for results. 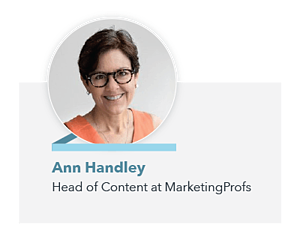 As the founder of MarketingProfs, a company that helps train and mentor digital marketers, Ann recognizes the effort it takes to create GREAT content. This leads her to have a truly authentic personal brand that translates well whether she’s speaking, writing, or collaborating with strategic partners. Ann isn’t afraid to call out mediocre content. Signing up for her email updates is playful. She invites you to “Join the AnnArchy”. 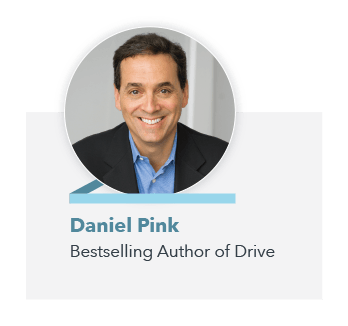 Daniel Pink is the author of 6 books, and a highly sought-after speaker and content creator. Dan has embraced his inner curiosity and used it to propel him to create content that challenges the status quo. A former speech writer for Al Gore, Daniel is perplexed by why people work, what they do at work, what work means to them, and how they can work better and smarter. Daniel willingly accepts that his last name is a color, so he cleverly builds around this on his personal website. He’s recently launched a video series that’s gained good traction with videos that are less than 90 seconds. 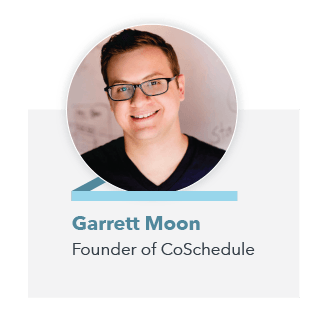 The co-founder of one of the fastest growing startups in the Midwest, Garrett Moon is a former digital agency owner that wanted a product to help solve the pains inside his agency. He and his team did not want to go the traditional route of building a beta product and then getting investment to grow the company. Instead, he challenged the status quo by believing that they could go from $0 to profitable company in 3 months. Did he and his team accomplish this? Yes. And many more exciting feats. Garrett shares his thought leadership platform on behalf of his company, and more recently, released a book about their journey, called The 10x Marketing Formula. He’s been featured on sites like Forbes, Entrepreneur, Social Media Examiner, and Content Marketing Institute. One of the things we love about Garrett is his no-nonsense approach to marketing. He doesn’t believe in the vanity metrics that commonly accompany marketing conversations. Instead, he challenges marketers to create content that will not only grow companies, but will lead to 10x type of return. His company is proof that it can happen. 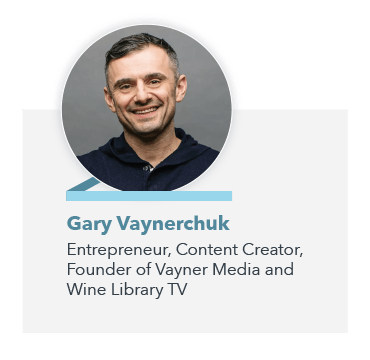 If you haven’t heard of Gary Vaynerchuk, you might be living under a rock. Or you haven’t tried to do anything on LinkedIn lately. He’s the founder of Wine Library TV, taking the business behind that show from $3 Million to $60 Million over the course of a few years. Because much of what he accomplished was based on the changing landscape of digital media, he harnessed the attention of his success and has parlayed that into a media/advertising company and several independent business ventures. The interesting thing about Gary Vaynerchuk, though, is that he is unapologetically himself. As a result, some love him, some can’t stand him. He’s done an excellent job of producing content, recognizing that people and brands are media companies of their own. He has his own videographer and content team for his personal thought leadership content, which is now so extensive he can recycle content on multiple networks and crank out posts numerous times each day. He’s also published a few books that have cult-like followings. Love him or hate him, Gary’s realized that repetition of the same message, coupled with excellent production, a consistent look and feel, and the right audience, pays off. Jakob Owens built his brand -- The Buff Nerds -- on YouTube. He started out making music videos with his friends, using amateur equipment. Now he’s a YouTube celebrity that works with big name musicians. What sets Jakob apart is he is extremely open about the filmmaking process and active within his community. He makes it a point to respond to almost all of his messages and comments. Like many YouTube filmmakers, Jakob creates tutorials that focus on running a creative business. 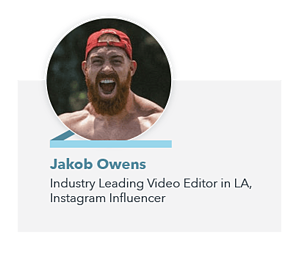 Yes he’ll teach you how he typically edits videos or some cool effects he’s come up with, but Jakob sets himself apart with his videos about how to become a successful filmmaker. Hearing from someone who has seen success and is willing to share his experience and advice for others is inspiring. 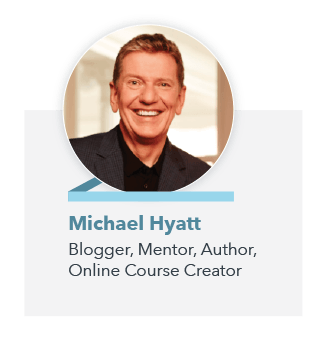 Michael Hyatt is the former chairman and CEO of Thomas Nelson publishers, a large Christian publishing company in Nashville, TN. He started blogging in the early days of the blog world (back when they were called “web logs”). He found success in communicating his tips, perspectives, and insights with people from around the world, and decided to quit his job to focus on building his own business. He now teaches people how to publish books, how to build their own “platform” for their personal brand, and has several courses and products that provide consistent year-round revenue for him and his team. In watching Michael, the thing you’ll notice is that he’s practical and consistent in his views. He’s not as outspoken as Gary Vaynerchuk when it comes to pushing the envelope, but he’s steady in maintaining his belief in family and faith. He’s also been interesting to watch because he’s embraced new mediums faster than many thought leaders in his age demographic. 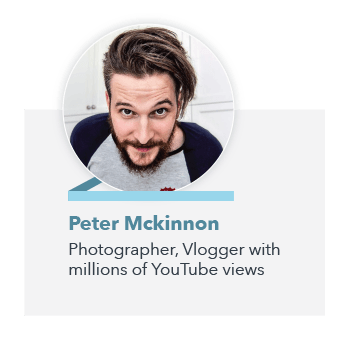 Vlogs (video blogs) have been around for a while, but Peter McKinnon has taken the idea and supercharged it with high quality footage backed by his expertise. Not only are his videos entertaining, but he’s always giving the viewers an education of how to make similar content and how to improve their own work. Peter is pretty much YouTube royalty with his nearly 2 million subscribers and cult-like following. What makes him so popular? Other than his obvious skill, it’s his infectious personality. Peter uploads to YouTube nearly daily and has several series that he rotates through throughout the week. He has his vlog, where he keeps viewers up to date with what’s going on in his life. Then there’s Two Minute Tuesdays where he tries to do a tutorial in two minutes or less. He also has videos that are a mix of blog and tutorial where he often shows off some technique or gear during his day. Simon Sinek is the author of the best-selling book, Start with Why, as well a TED talk by the same name. But Simon’s experience in crafting this message started early in his career when he worked for New York ad agencies like Euro RSCG and Ogilvy & Mather. When he wrote the book Start with Why, Simon may have been well-known in local advertising and branding circles, but his reach was not significant. His book with the simple idea of the golden circle, illustrated by the TED talk, ignited the minds of leaders, marketers, entrepreneurs, and world changers. He’s gone on to author more books and become a guest lecturer, advisor, and speaker around the world. His company now offers keynotes, training, workshops, and consulting on the concept of purpose and “finding your why.” Simon is a great example of someone who had an important message to share, and the world was ready for it. 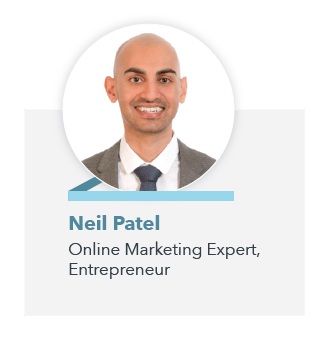 Neil Patel is a top expert in the digital marketing community (warning – there are hundreds of Neil Patels as it’s a very common name!). He’s known for helping fortune 500 companies, startups, and small businesses use social media and digital marketing strategies to grow results. He’s the cohost of a popular podcast called “Marketing School” where they talk about a very narrow topic on a daily basis. Each episode is under 10 minutes. His matter-of-fact personality and experience create a palatable sense of trust with his audience, and he’s got the products and street cred to back it up. 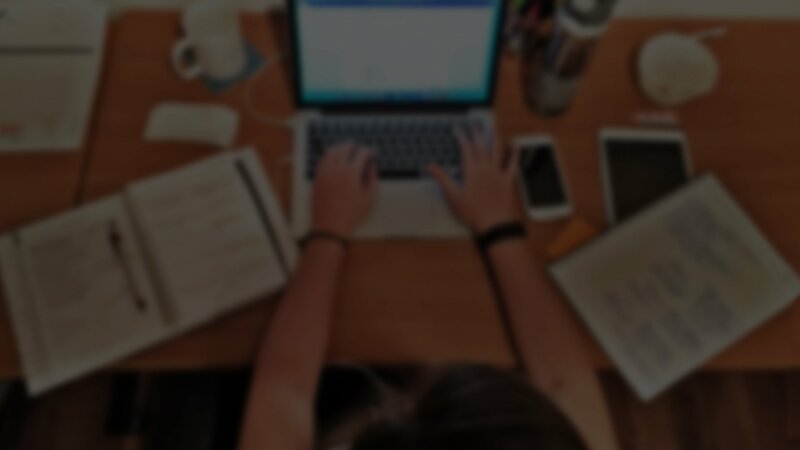 As his story goes, he couldn’t find someone to help him get results to grow his company, so he taught himself digital marketing and got very good at it. He recognizes the power of multiple mediums, but chooses to really double down ONLY on the ones where his audience spends time, and in recent years, launched an agency to expand on his ability to help others. While these thought leaders are excellent examples to draw inspiration from, recognize that they've put significant time and energy into building their following and position in the marketplace. Thought leadership programs take time, but in the end, a strong personal brand linked to a company results in growth in all different directions. What about you? Are you building your personal brand as a thought leader? Drop us a note in the comments below!